Book directly through the owners to avoid service fees. Email birds@sonic.net. Payments processed securely through Paypal. 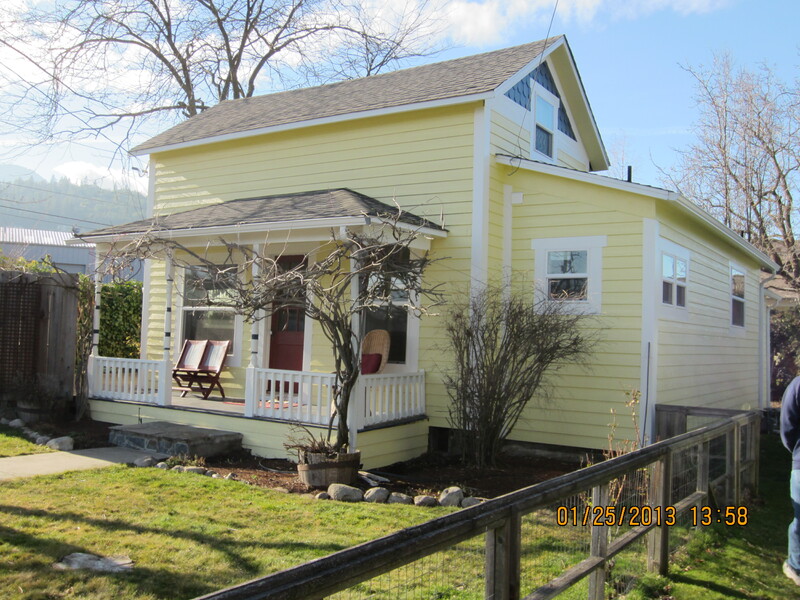 Located just 4 blocks away from downtown Ashland, Abram's Cottage is a restful retreat that you can think of as your home away from home when you are in the area. With 2 spacious bedrooms and 2 full bathrooms, there is room for up to 6 guests. Your comfort is our goal. When you plan your visit to Ashland, consider us for your stay. The cottage features a fully equipped kitchen, dining room with room for 6 and living room with new 40" flat screen tv and blu-ray player. There is central a/c for your summer comfort. Central heat plus a toasty gas fireplace will keep the house warm on cold days. Outside there is a private deck area with Weber gas and charcoal barbeques, patio table, chairs & lots of plants. A fenced & shaded lawn area in front gives you space for croquet or lawn bowling (bring your own set). Or you can relax on the porch and people watch. There is off-street parking behind the house as well as street parking in front. You are welcome to bring up to 2 well-mannered dogs (under 90 pounds) to join you. There is an off leash park nearby. City of Ashland Business License: BL-007814. Planning Action #95-132. Please be careful to book only with licensed vacation rentals.